We are nearing the end of a busy July and August is right around the corner. 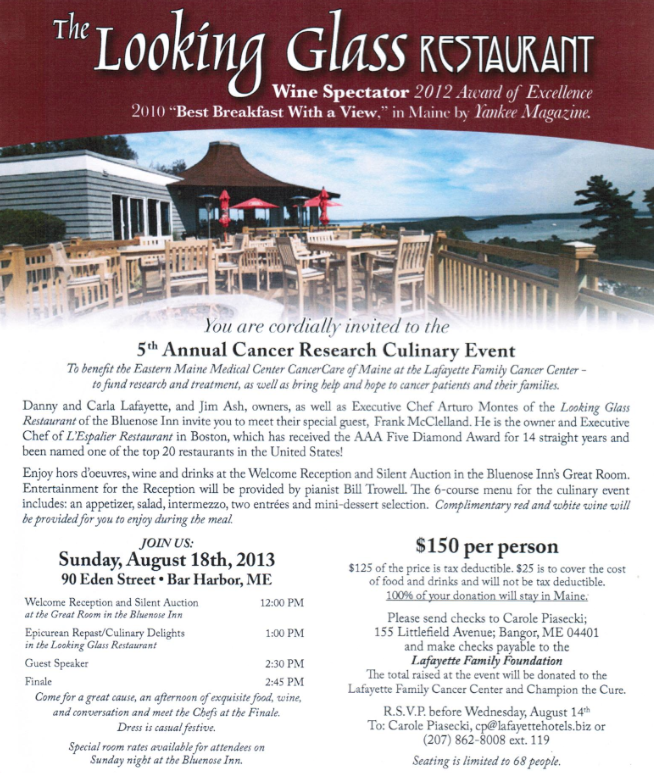 The Champion the Cure Challenge will be held at the Lafayette Family Cancer Center in Brewer, Maine. Visit the Lafayette Hotel’s Team Page Here. 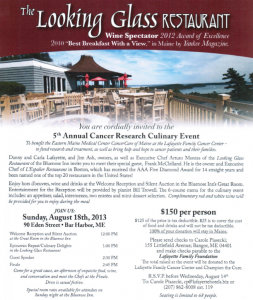 The 5th Annual Cancer Research Culinary Event will be held in Bar Harbor at the Looking Glass Restaurant. Once again, Executive Chef Arturo Montes of the Looking Glass Restaurant welcomes Executive Chef & Owner Frank McClelland from L’Espalier Restaurant in Boston.